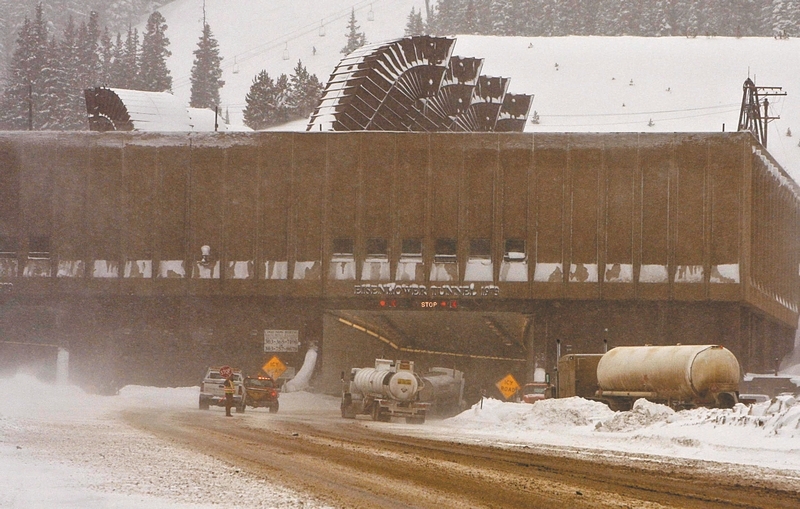 Rep. Millie Hamner (D-Dillon) has secured $5 million to go toward the cost of a $20 million fire suppression system for the Eisenhower Johnson Memorial Tunnel. Lawmakers in the state House passed a bill setting aside money for the system on a 47-15 vote Tuesday. The legislation creates a new cash fund for fees, fines and settlements to clean up sites across the site, but also secures funding for the tunnel suppression system, which transportation officials say is crucial to the security of the facility. The Colorado Department of Transportation will be responsible for coming up with the remaining $15 million for the project. The system would help keep temperatures under control if a fire were to ignite inside the tunnel, allowing emergency crews to get close enough to fight the blaze. It currently takes tunnel crews 8-10 minutes to respond to an emergency within the structure. In about the same amount of time, under the right circumstances, a fire inside the tunnel can get so hot that firefighters can’t get close enough to handle it. Meanwhile, help from Clear Creek or Summit County fire departments is at least 15-20 minutes away. It is not yet determined where the remainder of the funding will come from or when the system might be installed. A serious fire could put lives inside the tunnel in danger and potentially shut down I-70, a highway that is crucial both to Colorado’s tourism industry and to east-to-west travel across the U.S.
Hamner’s legislation – House Bill 1252 co-sponsored by Ray Scott (R-Grand Junction) – will have to clear the state Senate and garner Gov. John Hickenlooper’s approval for the funding to come through. The fund created by the bill will also help clean up petroleum contamination at abandoned and former gas stations, which officials say will help reduce the risk of contamination for groundwater, and will help the areas be redeveloped for future use. The bill has been introduced in the Senate.